This month we start off with more news about the 2.0 movie before our regular news round ups; a poetry competition, inner transition survey; a bumper edition of social reporting stories with thoughts on looking forward, plus skill share of building benders and making bread and more; 2012 Training dates and a great deal more to inspire. will be a blog with feedback from the film and videos/audio responses. Rebecca Mayes, whose beautiful and entrancing music runs through the film. ‘Turn the Lights Out’ and you could be in a music video! alone or with your Transition community (preferably both!) Five second clips maximum. Send them before February 19th. into a flip-throughable selection from the book. is needed. Questions were focused on finding out some background info about Transition initiatives, how Transition initiatives are doing overall, and insights on how the Transition movement can be most effective. you to take part in an on line survey. climate change and the limits to economic growth. The most accessible peak oil film since The End of Suburbia? extensive and unsustainable use of fossil fuels. a future that might actually happen. of this, we are living in a hugely hopeful moment. remembered as the year when the worldwide We took a giant leap? Or not. me back in. She buttonholes me on the street. “Without you I’m fading away,” she says. The journalistic aspect of the Social Reporting pilot often goes unsung. the crew converged to discuss the schedule for winter/spring and all things editorial. Meeting means you can play and work with a subject amongst you, so it moves and changes and becomes a clear and dynamic springboard. An exploration of low-carbon design in relation to A Pattern Language. such as building a bender. systems and is a great tasting bread might be the bread for the future. Empowering, social, cheaper and fun! If you embrace what it does, , it will turn your life upside down – like a love affair. Economics and Livelihoods – Transition’s response to Occupy’s concerns? About time, thyme, roots, rooted and connections. Congratulations to the 82 winning communities around the UK who will share the £4million Local Energy Assessment Fund (LEAF) for community energy projects. 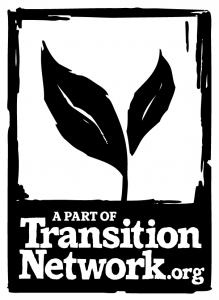 At least ten of them were Transition initiatives including West Bridport, Barcombe and Ovesco in East Sussex, Monmouth in Wales, Penwith, Totnes, Eynsham and Peckham. A new initiative from The Co-operative in the UK being launched by the Centre for Sustainable Energy called the Co-operative Community Energy Challenge will provide 12-18 months of enterprise development, mentoring, technical advice and community facilitation for six to eight communities, enabling them to initiate co-operative renewable energy projects at a significant scale. Unsubscribe bearn64transition@gmail.com from this list.